What’s in a name? The Isuzu Amigo is a seriously funky vehicle with an interesting history. This particular car is especially friendly, as it was donated to Francis House. Keep reading to learn about this neat car and the amazing charity its former owner supports. The Isuzu Amigo was first produced under the name “MU Wizard.” Actually, the acronym MU had nothing to do with mechanics. It stands for “Mysterious Utility.” In Japan, Isuzu sold this car as the “Honda Jazz.” They sold it in the US as the Amigo. 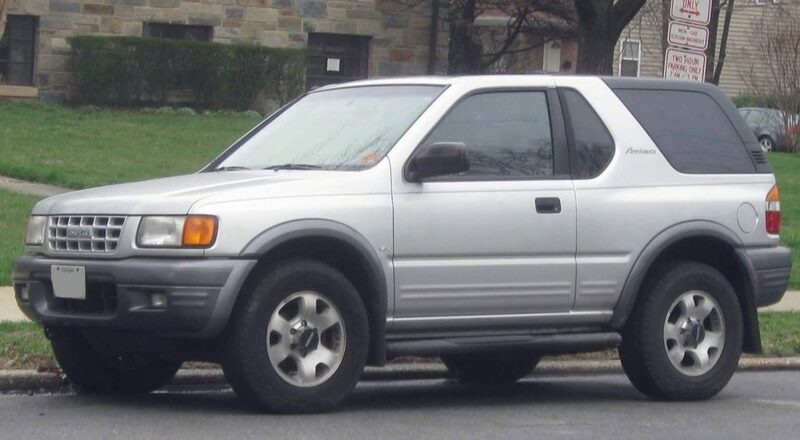 This well-named SUV was produced from 1989-1998 in Lafayette, Indiana. As you can see above, this vehicle is far from compact. Japanese owners actually had to pay an additional tax because of its width! This car is bold and brash, like an amigo that always cracks jokes. The much-loved car was donated through Car Donation Wizard to an incredible charity. Francis House is a charity active in Syracuse, NY. The mission of Francis House is to provide home and support to people with terminal illnesses. The residents have six months or less to live. Francis House has two homes in Syracuse and can care for up to eight people in each house. They don’t just provide a place to live for those with terminal illnesses. They treat each resident with respect, dignity, and compassion. There is 24-hour medical supervision, and frequent volunteer hours as well as visiting hours for family and friends. Each resident receives individualized care, including home-cooked meals, pet and music therapy, birthday and holiday celebrations, and private bedrooms. In total, the cost per resident to Francis House is approximately $7,000 per month, and fundraising is essential for residents who cannot assist with those costs. The simplest way to help is to follow in the footsteps of the Isuzu Amigo owner. Donate your car to Francis House through Car Donation Wizard. Car Donation Wizard has the highest return of any charity car donation program. Francis House receives 75-80% of each dollar earned from the vehicle sale. Get started with your donation online or by calling us at 877-215-0227. It’s easy to be a friend to Francis House and the residents they support.